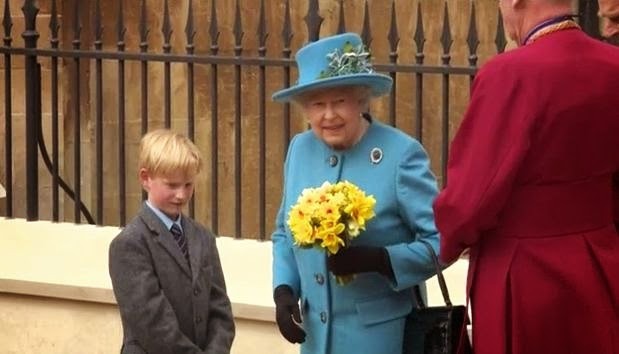 The Queen, accompanied by members of the Royal Family, attended Easter Service in Windsor. For more: ITNSource video, Telegraph article and video, Zimbio gallery. We'll be covering the royal Easter fashions on the other blog tomorrow, but for now, a brooch. The Sapphire Chrysanthemum Brooch, specifically, one of the earliest brooches given to Her Maj. I half expected the Aquamarine Clips when I saw this outfit from afar, so this was a nice surprise!